Incredibly, nine of my girlfriends are welcoming new babies into the world this spring! Yes, nine! Queue thought - what was in the water nine months ago!? Turns out, we can't figure it all out either, but one thing we do know is - it's going to be amazing! 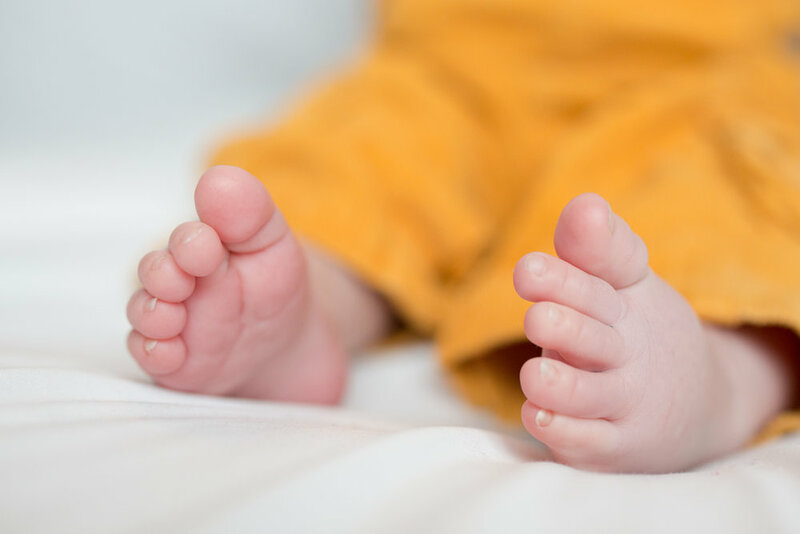 We have already welcomed Esme, Grace Amelia, Leo, Marnie, Eric Alexander, Hudson and Hampton into the world and with all the lovely baby talk going on amongst my friends, I thought now was as poignant time as ever to share my top eight tips on how to prepare for your baby's photography shoot. After-all, this is your newborn's first time to do their thang - the pressure is on, right? Fear not, you've got this! With outfit changes (and that 'cute bum shot' you so badly need in your life as future bribery power!) we definitely need to keep your little one warm! So make sure your heating is on and you have a stack of your best, fluffy blankets (ideally white ones) to hand for an instant comforter and to keep those tiny toes toasty! 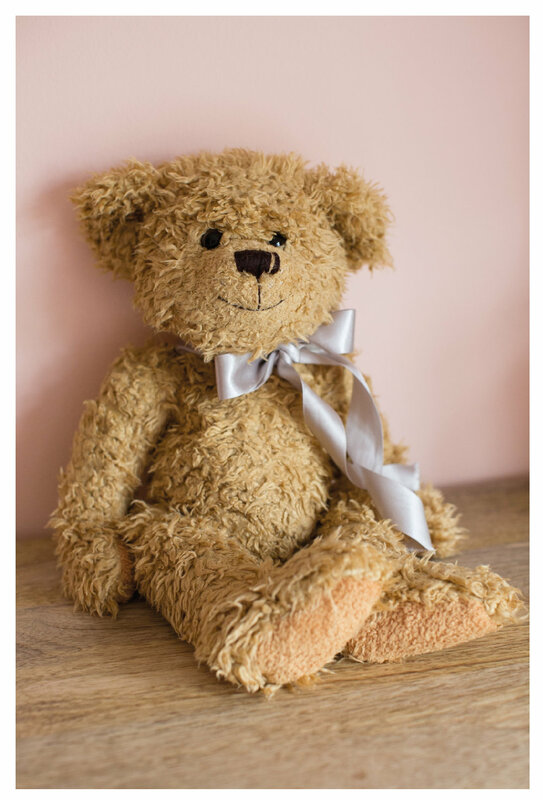 With the heating on point and snuggly blankets on hand, bring their best Ted and a musical toy to the party too! Note: Usually the musical toy of choice ends up perched on my head for that ‘down the lens shot’ to capture their amazing eyes! Other essential items to have to hand are a baby hairbrush, babywipes, neutral cushions and throws. Ooo and remember Ted - he will need his portrait too! During each shoot, I love getting you involved too! Afterall, you have that unbreakable bond with your little one and know what comforts them and makes them giggle which is gold dust for your photographs! Plus, interaction shots are amongst my favs to capture! As a fine art photographer, you'll catch me commenting on natural light all the time! Why is natural light best though? Well, it's softer, more even and therefore more flattering! Each newborn shoot I document uses only natural light. I usually suss out the best natural light in your home and direct the shoot from there. Personally, I love babies in white! 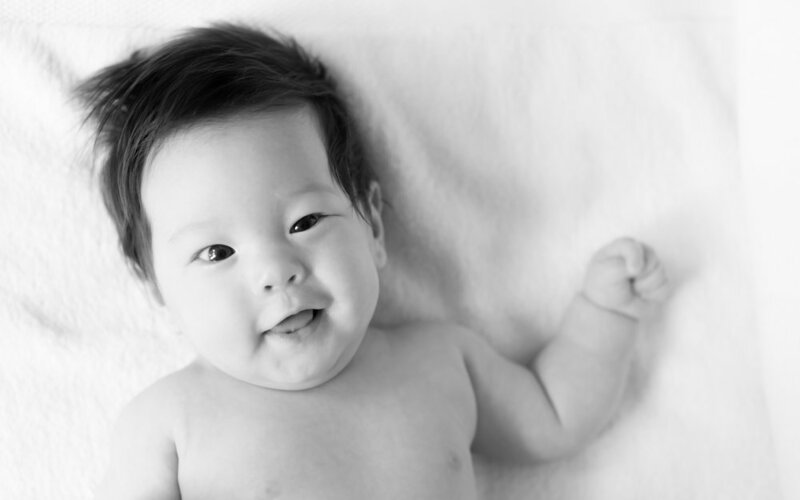 There is something about the freshness of white which echos the newness of a tiny baby. 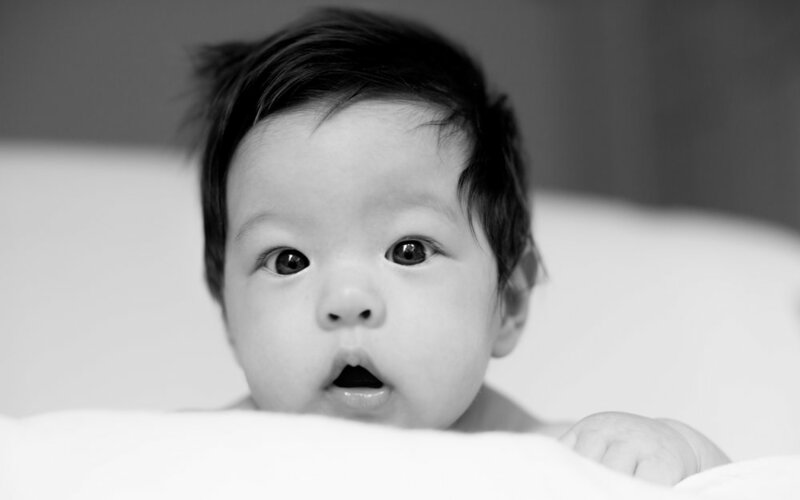 White is also perfect for not detracting from your baby's natural features, such as their eyes. Avoid dark clothes in your shoot and stick to light, neutrals for a really classy timeless look! 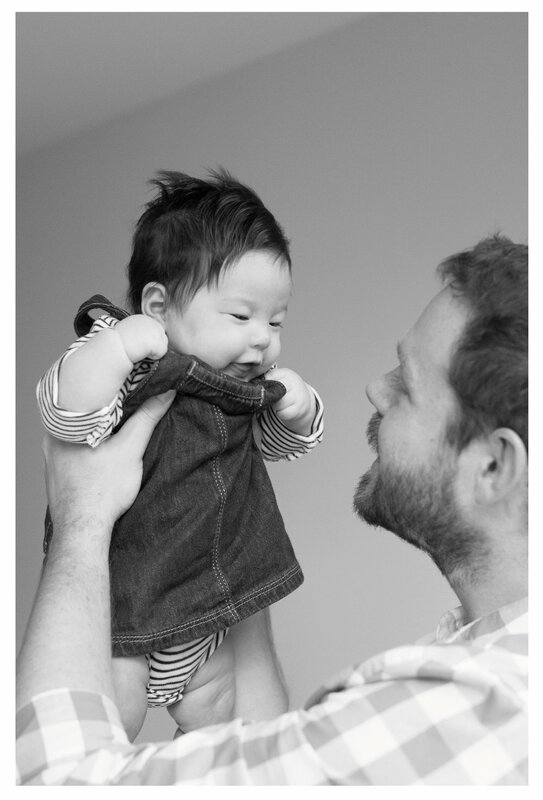 It's also important to remember to plan your outfit too - I love to capture interaction shots of you and your baby, so remember to wear similar tones to their outfit. There will be plenty of time for outfit changes for your little one too, so feel free to plan a few different options and we can have a play with a few different looks! 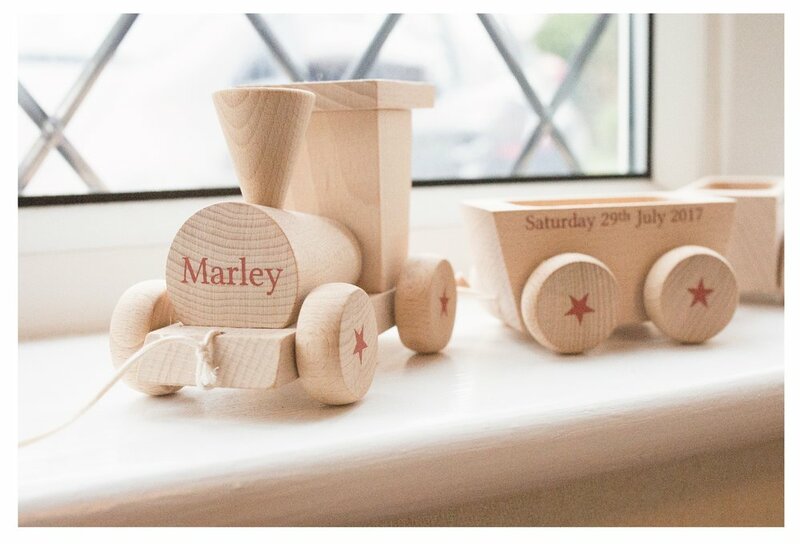 It's amazing how special gifts, cards and the decoration you've lovingly chosen for your nursery help to tell your story! The beauty of having the shoot in your home is that I can capture these details too which in years to come, I can guarantee you'll love to look back on. Being in your home is also super comforting for your little one who, let's face it over the past few weeks has been on quite a ride! Familiarity on a shoot, in my opinion, is key. It helps to relax you and relax your baby. We can also take our time and have a play in different settings! 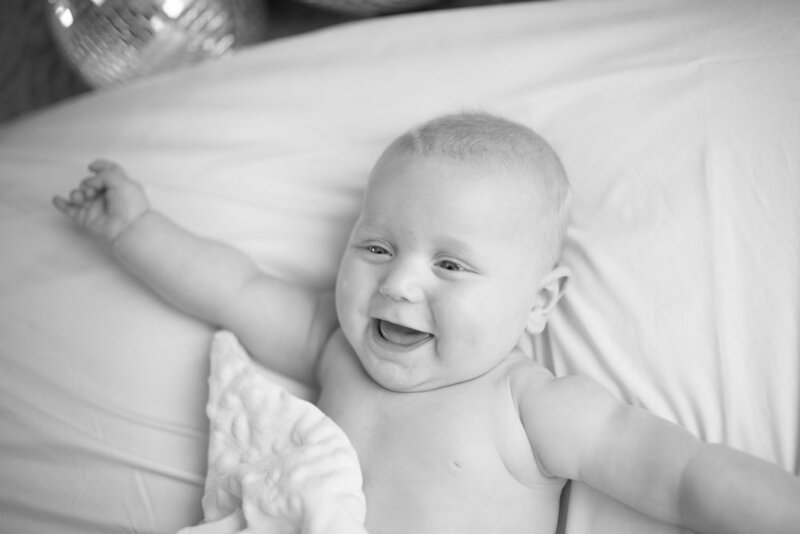 Using your baby’s routine as a guide we can plan the timings of your shoot to make sure we get those gorgeous giggling shots as well as the sleepier peaceful pics, which I promise, will melt your heart! On booking your shoot, if there is a time of day that works partically well to fit in with your routine, let me know and I'll always try to accomodate. And lastly but most importantly... enjoy! Relax, put the kettle on and enjoy! Even with all the planning in the world, baby's have a tendency of doing their own thing anyway. So ultimately, Baby is in charge! Each of my photography packages include a minimum of a two hour shoot, giving us the time to break for feeds, cuddles, nappy changes.. (anything your baby needs to make them super happy!). So go with the flow and lets create some new memories. Fine art baby photography throughout Yorkshire for newborns to toddlers.